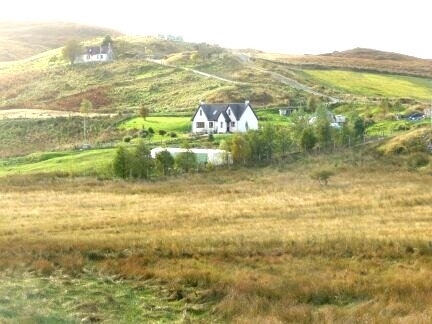 Five Drumfearn is situated in Sleat looking over Kinloch Forest and Kintail. Within easy reach of the Michelin Star Kinloch Lodge and Sabhal Mhor Ostaig. 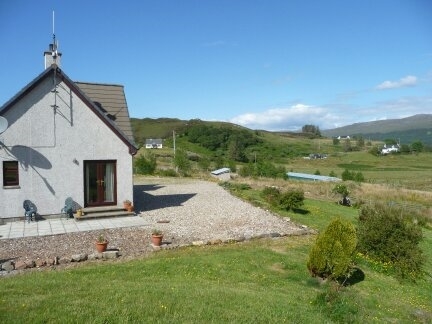 Drumfearn is a crofting township with access to the shores of Loch Eishart only a five minute walk away where mussels are farmed and fishing boats moored. It is approx. 15mins drive to Armadale where you can take a ferry to Mallaig. The drive must be one of the most scenic in Scotland, looking across to the hills of Knoydart.Please Note: Your SatNav may suggest that you come via Mallaig. The ferry does not at sail in the evenings so the Skye Bridge is a more dependable access route if your are arriving later in the day. There is no charge for crossing the bridge.